We may get the odd moment like David Cameron’s speech on Wednesday but most of the time politics today is as dull as dishwater. And as the dust settles even the PM’s speech was only good on paper with no certainty the EU referendum promise will see the light of day. It was back to normal on Thursday and as I was watching Question Time last night it is true what they say: politicians really are all the same. It is very difficult to put a cigarette paper between them. The three main parties don’t have ideologies and are merely mishmashes of each other. Condescending and highly irritating Tory Health minister Anna Soubry was espousing her wish to see the UK continue giving the EU £50 Million a day to take away our democratic rights; former Liberal Democrats leader Sir Ming Campbell told the audience how he wanted a bigger armed forces and Ben Bradshaw (with his perpetual 1980s style tie knot) for Labour said spending cuts would be necessary even if Ed Miliband was prime minister. At least Ian Hislop told it like it was when he mentioned the Ministry of Defence lost so much money under Labour it would be enough to buy the the upgrade to the Trident nuclear deterrent. Politicians are so scared now of offending anyone they just don’t take a position on anything and even when the economic juggernaut is heading in the current Chancellor’s direction he merely does a little bit of fiscal tweaking and hopes things will sort themselves out before the next election. They don’t want to scare the horses by actually having concrete and tangible policies such as real spending decreases to help Britain out of recession. The media don’t help matters. Still feeding off the expenses scandal, they feel politicians can be treated anyway they choose. It does not matter that the 600 odd members of parliament hold positions of great seniority with a backbencher akin to a FTSE 100 chief executive. The sneering and debasing of anything a politician does or proposes by the print, broadcast and electronic media indoctrinates the ordinary member of the public to think MPs are fair game who are lower than paedophiles and deserve no respect whatsoever. That collective mindset is very dangerous. If we lose respect for our democratically elected representatives, we start to lose respect for democracy itself. We need a fundamental shake-up in our political system. We need to make it easier for people from all backgrounds to stand for election at a local and national level. If the MoD can waste £39 Billion pounds on bodged procurement contracts, surely there is some money available to make it worthwhile for a man or woman in their 30s or 40s to stand as a local councillor or member of parliament? We need people with ideas and passion for their beliefs who aren’t afraid to call a spade a spade. If nothing is done to make British democracy more representative of her people, we really are heading for decades of management-speak politicians who would be more suited to the corridors of Davos rather than Downing Street. Categories: Conservative Party, Labour Party, Liberal Democrats | Tags: boring politics, Conservatives, democracy, Labour, Liberal Democrats | Permalink. 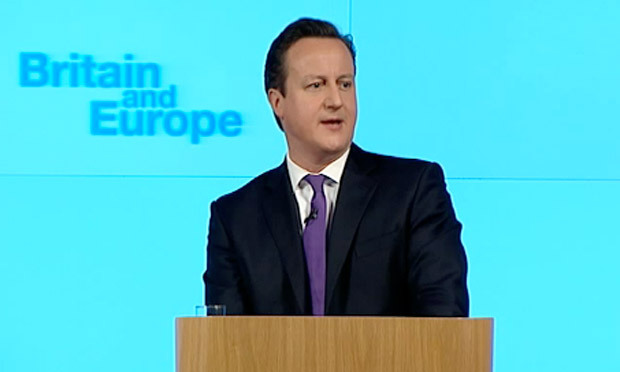 Will Cameron be able to deliver his EU Referendum promise? This morning was one of those seismic historical moments which changed Britain’s political trajectory. Britain’s relationship with Europe changed irreversibly with Prime Minister David Cameron’s long-awaited speech on our relationship with and within the EU. That does not mean Berlin, Paris, Madrid or Rome were surprised but it does mean the semantic cartwheels and ambiguous description of where the UK’s position is in the European Union are over. Britain’s view, through David Cameron’s big speech this morning at Bloomberg in Central London, has been made clear: we want to negotiate repatriation of a number of powers from the EU, which we will then put to the British people in an “In or Out” Referendum. If the British people like what they see after the negotiation, they’ll vote to stay in the EU; if they don’t, the United Kingdom will exit the European Union entirely – no Norway model, full exit. The choice will be made by 2017. BUT. And it’s a big BUT. 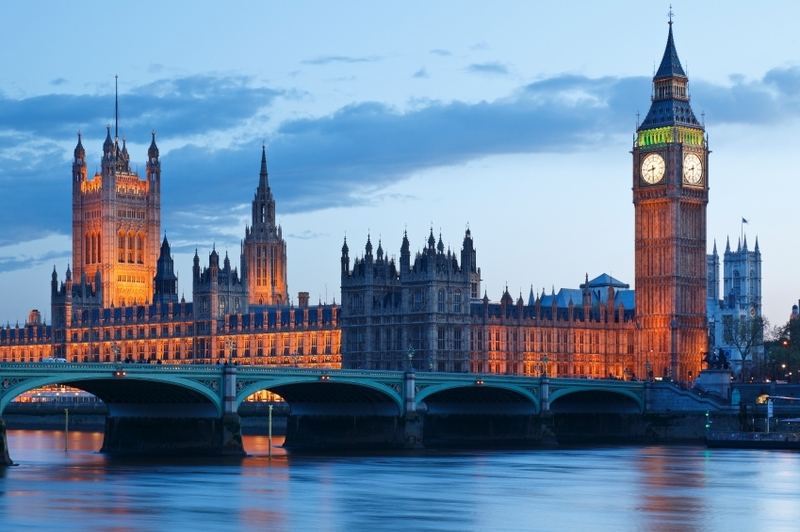 The Conservative Party needs to win the General Election in 2015. Mr Cameron’s speech today has certainly improved their chances. But the EU is not the only issue which causes disaffected Tory activists to defect to UKIP. The Coalition Government’s continued policy of uncontrolled immigration, a lacklustre handling of the economy which may mean Britain is heading for a triple-dip recession, and still no plan from Cameron & Clegg on how to get the banks lending to small-business owners and prospective house buyers are, actually, further up the priority list for UKIP-minded people than the European Union. There’s also another factor at play. As soon as David Cameron had finished describing his vision for the EU and offering an “In or Out” referendum, his yellow peril sidekick, Nick Clegg, was sniping at the sidelines that the PM was not “acting in the national interest” over Europe. This weight around Mr Cameron’s ankle will continue to cause immense harm to the Tories’ prospects of winning a majority at the next General Election – that and the most powerful indicator of electoral success: the economy. George Osborne, the Chancellor of the Exchequer, has merely snipped at the Government department budgets when there should be wholesale slashing and burning of wasteful bureaucracy and pointless quangos to cut down on how much Government the taxpayer is forced to buy each month out of their decreased or stagnate wages. Above all, it is the state of an elector’s finances which will decide how they vote in May 2015. “It’s the economy, stupid”, as a former US president once said. Credit where credit is due: David Cameron has done well today. 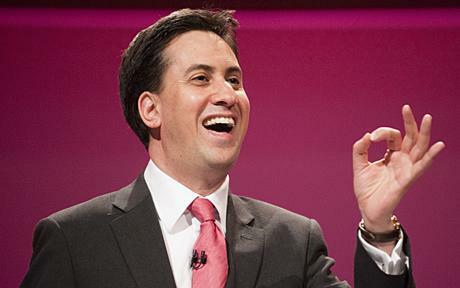 He has grasped the nettle whilst confusing the hell out of Labour, which can only be good for Conservative prospects. I personally would like to see an “In or Out” EU Referendum before 2015 but let’s be under no false pretences: this can’t happen. The Liberal Democrats would not stand for it and would implode the Government and then there would be no majority to get the Referendum legislation through parliament. This post-2015 promise from Cameron is the only way of placating his Tory backbenchers and bringing some UKIP defectors back to the Tory fold. But will it be enough to give him the keys to No.10 in his own right. You know what? I’m not sure it is. Categories: Conservative Party, David Cameron, EU referendum, Labour Party, UKIP | Tags: Conservative Party, David Cameron, EU Referendum, Labour Party, UKIP | Permalink. A public inquiry into the failing at Stafford Hospital which saw 1,200 patients killed by nurses and doctors in appalling conditions is going to demand sweeping changes to the NHS. Since the inquiry began, many more NHS Trusts have been exposed of inflicting immense cruelty towards patients who are meant to be in their care. 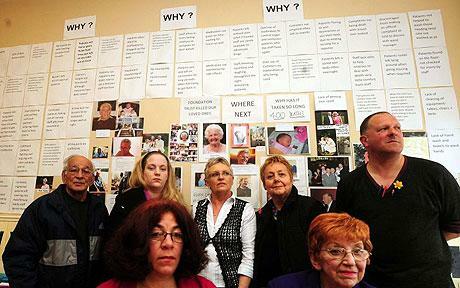 Inquiry Chairman, Robert Francis QC will allude the Labour Party have blood on their hands. Francis firmly points his finger at Labour’s top down targets which, he says, led to vulnerable patients being left to starve to death on their hospital beds as management targets took priority That is no exaggeration. It happened in Alexandra Hospital to 86-year old Patricia Bridle. The vested interests may moan about the Lansley reforms, now being implemented by new Health Secretary Jeremy Hunt but they may be nothing compared to those being demanded by the Francis report. Managers, nurses and doctors could start with one simple reform: actually give a damn about the patients you are treating! The problem is if you take away any fear of being sacked from nurses and doctors for not showing compassion to patients under their care, and instead they are put in fear of losing their job because they don’t meet an artificial management statistic then soon the worst aspects of the human condition appear: cruelty and torture of your fellow human beings. In my view, the NHS is a fatally (literally) flawed institution which needs not tinkering with but broken up and reassembled, allowing the forces of free markets and private competition to drive up standards. This does not mean those who couldn’t pay for healthcare would go without: they would still get NHS-standard treatment paid out of a ring-fenced pool of public money but everyone else would be forced to have insurance and could then choose to have treatment with any private hospital or clinic they like, regulated only by the Department for Health. The cost to the taxpayer would be massively reduced. It works like this in Continental Europe so why not in Great Britain? But who would pay for the insurance you ask: on the whole, employers. Just as company pensions are seen as a right for employees, so health insurance would become. The upshot is companies and individuals would no longer have to fork out anywhere near the £100 Billion (or £3000 a second) it costs us each year and we might end up being cared for rather than tortured to death in our old age. Categories: Jeremy Hunt, Labour Party, NHS, Robert Francis QC, Stafford Hospital | Permalink. The Office for National Statistics a couple of weeks ago started to reveal the results of their number crunching from the Census of every man, woman and child in the United Kingdom on 27th March 2011. The mainstream press and programmes like the BBC’s Question Time touched on the immigration figures in particular but the numbers only told us the depressing state of affairs we knew already: mass immigration was left unchecked by the Labour Party for a decade. 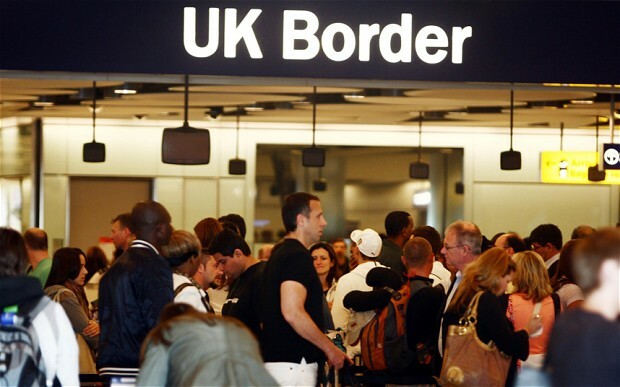 The population of England and Wales has increased by 3.7 million since 2001 to 56.1 million with 55% of this increase (2.1 million) due to migration, two-thirds from non-EU countries. When Northern Ireland and Scotland are added into the mix the United Kingdom population stands at 63.1 million, up 4 million since 2001. The most shocking statistic was almost 3 million people in England don’t speak English! This is a recipe for distrust and community segregation, fuelled by the continuing obsession local authorities (including Ipswich Borough Council) have with flawed multiculturalism policies. The key for any harmonious society is integration not segregation but this doesn’t fit with the liberal bigot’s world view where everyone must be pigeon holed so they know who to patronise and who to denigrate. A classic case in point was self-styled “enlightened” liberal Will Self on BBC1 Question Time on 13th December peddling the same old bigotry that anyone who questions immigration numbers are racist. I believe in integrating communities not segregating them as this leads to a more harmonious society with less distrust of others. On that premise, it was quite wrong the Labour Party allowed 3 million people to live in England who cannot speak English. Some of these people are even nurses in our hospitals. Were any checks done to see if someone can actually communicate within the country they want to WORK and live in? Of course not. The Labour Party were too busy waving people into Britain to end the discussion over multiculturalism and to “rub the Right’s nose in diversity”. This was social engineering on a grand scale. And Labour knew this, hence Ed Miliband’s semi-apology last week once he knew the game was up with the release of the Census 2011 figures. There is nothing wrong with immigration, per se, as long as it is controlled. Australia and the USA manage a perfectly good immigration system through a points system, which amongst other things ensures you can speak English before you are handed a work permit. Why didn’t we? Due to Labour’s deliberate policy of mass immigration for purely political purposes, we now have overcrowding on our trains, in our classrooms and on our wards. There isn’t enough money to pay for the burden an extra 4 million people have placed on public service provision and on top of that we have whole cities – like Bradford – where communities are segregated (Northern Ireland-style) as if different countries existed within them. This is a toxic mix which the liberal metropolitan elite in London may be proud of but it only feeds distrust and friction up and down the land. The most depressing aspect of uncontrolled immigration is the deflation of wages for non-skilled and semi-skilled jobs. You’ll always hear the Director of the CBI or business chiefs extolling the virtues of mass immigration. I wonder why? Businesses only care about making and keeping money in profits. Immigrants are in many cases desperate for a better life and that motivates them to work hard, for longer and – most importantly to your businessman – FOR LESS. So lots more lolly for the same business “leaders” to spend on private tuition fees for the kids, a bigger house away from those crowded town and cities, and cheaper nannies and gardeners! If I was a rich businessman (and if I didn’t have a conscience) I’d be quite keen on mass immigration as well! And of course, the negative side affects of mass immigration – bursting transport systems, 30+ children per class, nurses who don’t speak English when your wife is giving birth etc – don’t bother a rich businessman as they don’t have to worry about such things if the children are educated at Tonbridge or Eton, or when its Bupa and Nuffield all the way for healthcare, and isn’t public transport for the plebs?? It’s a mess and I don’t pretend to resolve the effect mass immigration has had in Britain in one blog post. The only hope is it will add to a sensible debate on immigration and will help to put pressure on the Coalition government who are still doing too little to control immigration today. Categories: Census 2011, Ed Miliband, immigration, Labour Party | Permalink. 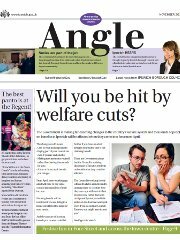 The front page of Ipswich Borough Council’s The Angle this month leads with the headline “Will you be hit by welfare cuts?”. Ipswich Spy reported last week Conservative councillors at the Borough were not happy with the content before it was pushed out. Either the Communications department at the Council is incompetent or complicit in political campaigning for the Labour Party. The Angle is meant to be an information publication for the residents of Ipswich to keep them up-to-date with council services and community events. It is not meant to be used by the political administration of the day to peddle their “cuts” agenda. on benefits that they could be affected.” Why would a neutral local authority newspaper use the word “Government” as if it were a far off entity when in fact the civil servant led aspect of Ipswich Borough Council is merely an extension of the Whitehall civil service. It is a deliberate political piece of writing. Political parties and people who vote for those parties have differing views on how to deal with the current economic crisis in this country. Some see Government as bloated and requiring cuts in spending to reduce the deficit and pay down the national debt (although the Coalition Government has clearly failed to do that) but others believe the Government is cutting “too far, too fast“, with others actually suggesting we increase public spending (these people are quite mad or bad in my opinion). But a local authority should not be coming down on one side or another of this debate. The Angle is paid for by the taxpayers of Ipswich who don’t all believe reductions in public spending is a bad thing. The front-page article makes it clear in the headline that is what Ipswich Borough Council as a body (not the political administration who run the council) think: that is wrong and dangerous to our democracy. The chief civil servant at Grafton House, Russell Williams, should get a grip and ensure the Council abides by the law on civil service impartiality. Categories: Ipswich Borough Council, Labour Party, Russell Williams, The Angle | Permalink. I know – I am bit late to the party but I felt the need to at least say something about Wednesday’s vote on the EU budget in the House of Commons on Wednesday evening. First off, I am not a sensationalist blogger unlike some of the mainstream newspapers who carefully forgot to mention Wednesday’s vote was not binding and was not even a vote on the EU budget at all. 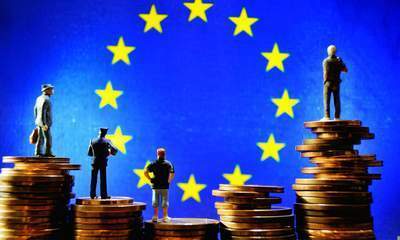 It was actually a “take note” vote on a report on the upcoming EU budget negotiations, with the catchy title Multiannual Financial Framework 2014-2020. The report was tabled by the Government for the House of Commons to note the report but Conservative backbenchers took the opportunity to make a point about the profligacy of the EU and basically the corruption endemic in Brussels and Strasbourg by tabling an amendment to the report calling for a cut in the EU budget. 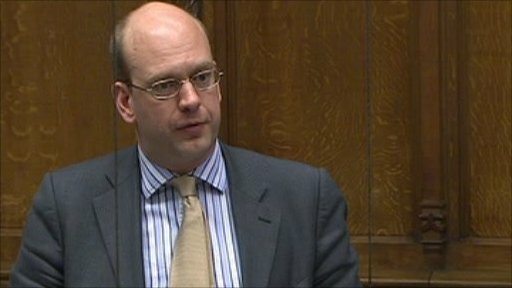 The amendment was laid down by Tory MP Mark Reckless MP. Labour then duly backed the Conservative rebels as a text-book case of political opportunism. In all, 53 Conseratives rebelled against the Government, and with Labour MPs voting with the amendment as well, the Government was defeated by 13 votes. Like I said, this was not a binding vote and therefore David Cameron and George Osborne can choose to ignore it but if they have the slightest political instinct they won’t. 53 rebels is a large swathe of the Tory Party and this will have worried Downing Street considerably. In fact, it would be fair to say the Government is in big trouble over it’s stance on Europe. The Prime Minister now needs to come back from the EU budget negotiations in Brussels later this month with some red meat for his restless backbenchers. He can’t veto the EU budget or the remaining 25 EU nations will just ignore the UK and instead of freezing the budget (plus 2% to keep up with inflation) they will increase it along with the UK’s contribution. This is just how corrupt and undemocratic the EU is. The sooner we leave the EU the better. There is no way the Conservative parliamentary party, and for that matter the Labour Party, are going to allow any more money or power going over to Brussels – at least whilst this Coalition Government is in office. Let’s be sensible though. Labour haven’t suddenly become Eurosceptic – they would have abolished Britain as a sovereign state if they could have got away with it during their disastrous years in power from 1997-2010. On Wednesday, they only backed Conservative MP Mark Reckless’ motion by traipsing through the No lobby with many Tory MPs to humiliate the Government and they will continue to do so as long as David Cameron and Nick Clegg are still in power. However, once Labour get back into power, which is likely in 2015, albeit in coalition with the Liberal Democrats, they will be back to their Europhile selves and will start the print run of cash to Brussels once again. Remember this when you come to vote in 2015. I believe the Conservative rebels were speaking for the majority of the country. Brits are fed up with meddling from the EU. High energy prices are as a result of EU Co2 targets, 70% of our laws are made in Brussels, and dubious jurisdictions in far flung corners of Europe can have a British citizen arrested and extradited at the drop of a hat by deploying the European arrest warrant (police beatings are still part of the interview technique in some European states). To name but three. The United Kingdom pumps £10 billion a year into EU coffers. Each MEP has the use of their own limo, they have special lanes at airports and for their cars on the roads of Brussels and Strasbourg, and the EU accounts haven’t been signed off for decades because so much money has gone missing. The EU parliament is a democratic front but our elected MEPs don’t even make the 70% of laws imposed on the UK: an unelected Commission does that – the same Commission Peter Mandelson once was a member of after he resigned from Blair’s Government for the SECOND time. A fiction writer couldn’t even make this up. Dictatorships are more democratic than the EU. The UK economy may have its face out of the mud come the General Election in 2015 but she will still be on her knees. The best thing the Conservative Party can do is highlight the meddling and damage the EU does to our sovereign state during the election campaign, explaining how Labour gave back the rebate Margaret Thatcher won and how even more powers were ceded to Brussels by Gordon Brown sneaking into Portugal to sign the Lisbon Treaty. This campaigning strategy may be the only chance the Tories have of being returned to power. 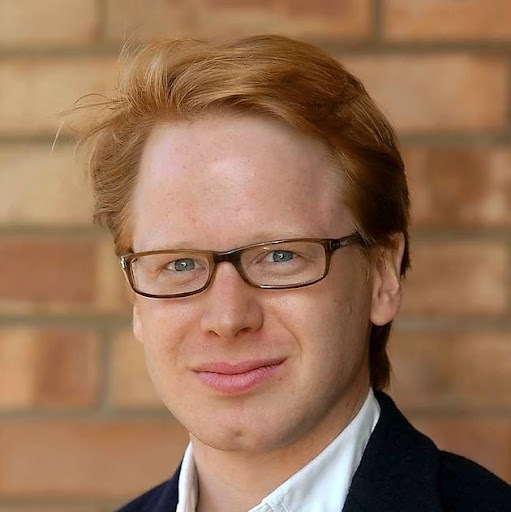 My MP, Ben Gummer, told Ipswich Spy after Wednesday night’s vote: “Very sad that the Conservative Party continues to do this to itself”. Sad, I’m delighted. At least some MPs represent the real views of the British public. Those on the Tory Far-Left, including Ben Gummer and Ken Clarke (I seriously can’t think of any more), think Europe is an unimportant topic. It is probably the most important topic there is in British politics today. Basically Britain is run by the EU – 70% of our laws are made in Brussels. In the 1990s, the Maastricht rebels were more concerned about British identity; identity politics is very important but the economy is even more important. Back in the 1990s, the European single market along with the US market WERE the economic powerhouses of the world. Not any more they aren’t. Europe and the US are very sick economies indeed. But in 2012, it is the economies of Brazil, Russia, India and China (the so called BRIC countries) which are booming. Can the UK form a trade treaty with any one of these nations unilaterally? No. Only the EU can form a trading agreement. We have given away our sovereign power to trade with anyone we like to unelected bureaucrats in Brussels. Therefore, frankly, Europe matters. It matters to every aspect of our lives: energy prices (which are going up because of make-believe EU Co2 emission targets), the right to a fair trial and humane treatment by police (which is not guaranteed because of the EU arrest warrant), jobs (Britain is banned for signing a unilateral trade agreement), and even the weeds growing in the pavement outside your house during the spring and summer are there because the EU has banned your council from spraying weed killer on them! Like I said, the EU is the only topic in town. It will probably decide the next General Election. Categories: Ben Gummer, Conservative Party, David Cameron, EU, EU budget, George Osborne, Labour Party, Mark Reckless | Permalink. Back on Ipswich Labour’s favourite day of the year – May Day – I wrote a piece pointing out that the TUC union were due to pitch up in Ipswich Borough Council owned Alexandra Park for their yearly beer and sandwiches event with plenty of Tory-bashing from the various tents and the main stage. There’s a lot of work involved. Security, ground remediation, closing the park before and rubbish clean up afterwards. The market value for taking on a large plot of land near the town centre is also quite princely. And how much does the Council charge the comrades to pick up their litter afterwards: zero, zilch, nothing! So, let me summarise this: Ipswich Borough Council subsidise a Labour-supporting union event laid on to attack the Conservative Party. Is this not illegal? Now, as I’ve said before, anyone who has ever been an Ipswich Borough councillor soon realises how terribly bias the officers are at Grafton House towards anything left-wing, which has always included the union affiliated Labour Party. The FoI answer, James Spencer acquired, states the Council has been subsidising the TUC event for at least the last five years, four of which were when the Conservatives were in power with the Liberal Democrats (2008-2011)? So I have to ask, why did Tory Finance chief Cllr John Carnall allow the officers to continue this arrangement when he was in charge of our money? The problem is that those of my readers who are Labour councillors will see nothing wrong with this massive hidden subsidy from the council tax payers to the Labour party. Like the full time union officials, it’s just part of the everyday kickbacks and favours which permeate so deeply into Ipswich Borough Council that we just accept it as normal even under Tory rule. And we should be as mad as hell about this ever-lasting, everyday, petty corruption. I expect an explanation from Labour-controlled Ipswich Borough Council in quick time. Categories: Alexandra Park, FoI, Ipswich Borough Council, Labour Party, subsidy | Permalink.